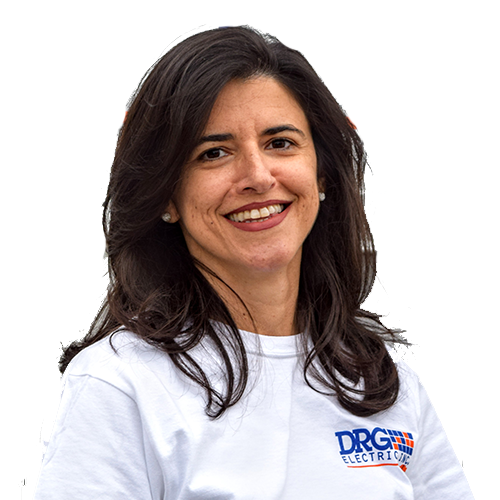 I served as President and co-owner of DK Electric Inc. since 2005 and founded DRG Electric Inc., located in Lake Worth, FL., in March of 2015. I take pride in upholding the highest standards of excellence in every facet of my business; including designing, permitting, estimating, invoicing and troubleshooting. I am committed to training and educating my team. 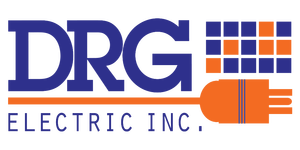 DRG Electric services all of Palm Beach County south to Boca Raton, north to Jupiter and Tequesta, and west to Loxahatchee. …from design through your final punch list, your project is a pleasure not a problem. Not everyone in an electrical company wears a toolbelt and hard hat. 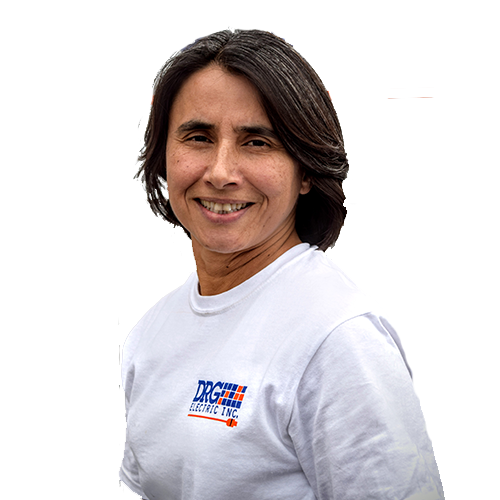 It is more likely that you will find Dania wearing a stylish outfit on her way to the permit office, meeting with customers or making an emergency stop at the supply house. The same level of commitment, excellence and attention to detail that is evident on the job site is what you will find in our office as well. Dania provides invaluable accounting experience and is the connection that keeps the job flowing from scheduling to customer contact, supplier follow up, and to account reconciliation. I am committed to project coordination to ensure our customer’s timeline and budget are fulfilled. 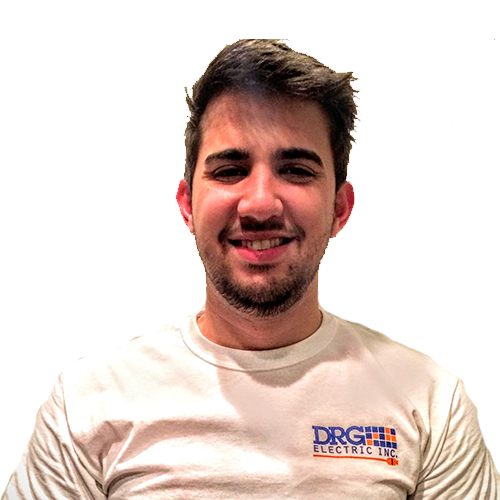 Alejandro Cabrera is an Electrical Engineering Graduate from FSU and is passionate about the growth and development of DRG Electric Inc. He supports process development, new technologies, and data analysis. He believes that quality, integrity, discipline, and respect are the core values for generating and maintaining long term customer loyalty. …The National Electric Code is the minimal standard of workmanship. Mauro prides himself on being a hard worker, who knows nothing less than to give 100% when doing the things he loves. His career and his studies are his priorities. I feel blessed to be part of an organization that along with associates and customers, recognizes my dedication and are investing in my education. Brett is currently going to school to become a journeyman, and is in his second year. He enjoys using his mind to solve problems which is what makes being an electrician all the more fun for him. His work ethic is very important to him and he upholds it daily by taking the time to do things correctly both on and off the job. I love working for a company that appreciates my customer service skills, dedication and hard work. 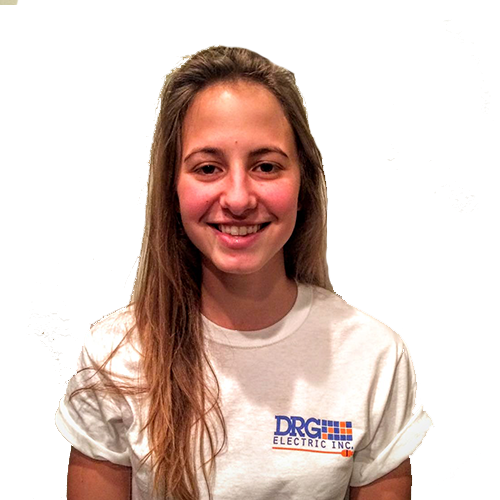 Gabriela Cabrera loves working for DRG Electric Inc. She believes that DRG Electric is a one of a kind company where humility and pride work in synergy. “Being a part of this company has taught me many things that I will take with me whenever I decide to run my very own business." 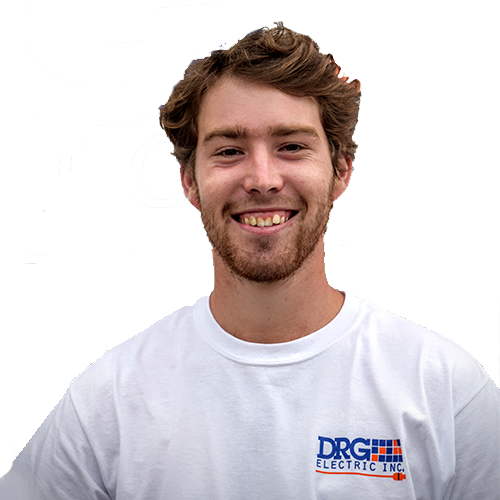 I am an aspiring entrepreneur and the leaders at DRG Electric have been an inspiration for me to never give up on my dreams and to never let what others may think distract me from reaching my goals.